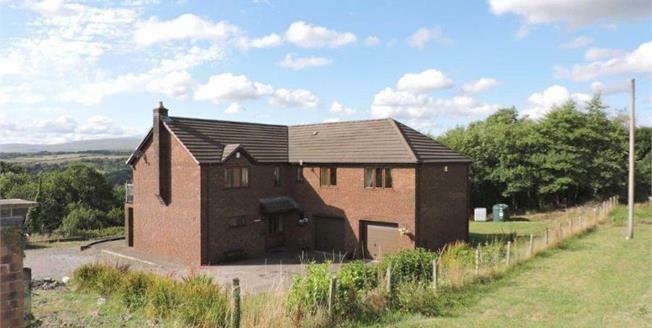 John D Wood & Co.
Exceptionally Large House In Good Sized Plot With Views Of Brecon Beacons. A this spacious, four bed, individually designed family home. The property's living arrangements have been designed to make the most of the outstanding views, with the bedrooms to the ground floor and living room, dining room and kitchen area to the first floor. Golwg Y Bannau is located in the popular village of Ystradgynlais which has a good range of shopping facilities with some of the nearby attractions. There are a good range of public houses and eateries in the area which include the Pen Y Cae Inn, the Ancient Britain and the Gwyn Arms to name but a few. The historic market town of Brecon is to the north whilst the property also enjoys good access to the City of Swansea which offers excellent shopping and leisure facilities.